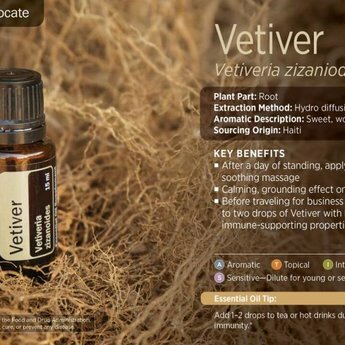 Vetiver is loved for its rich, exotic, and complex aroma. 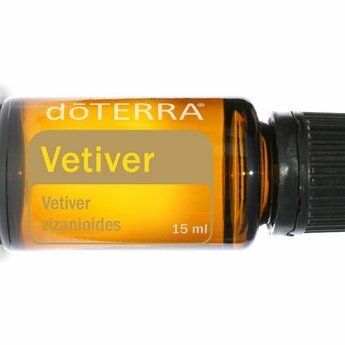 Used extensively in perfumes as a base note and fixative, vetiver's woody, earthy scent complements many other essential oils. 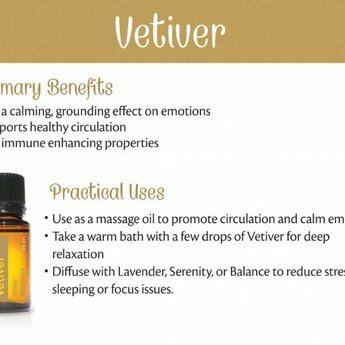 Vetiver also has many therapeutic uses, including as an antioxidant and for relaxation. This oil helps promote focus and mental clarity and is also recommended in cases of ADD and ADHD. For aromatic, topical, or dietary use. The oils of doTERRA are CPTG cerfified: Certified Pure Therapeutic Grade®. These essential oils are so pure and concentrated that 1 or 2 drops is enough to experience the quality.